Are You Getting the Most From Your EMR System? After converting to an EMR system there are some questions you should ask yourself to make sure you are getting the most out of your system. In order to benefit from the advantages of scanning your records and using an EMR system, you need the system to run at its maximum potential. Ask yourself these 5 questions and see if you are making the most of your EMR system. 1. Are Your Templates Working to Their Maximum Potential? 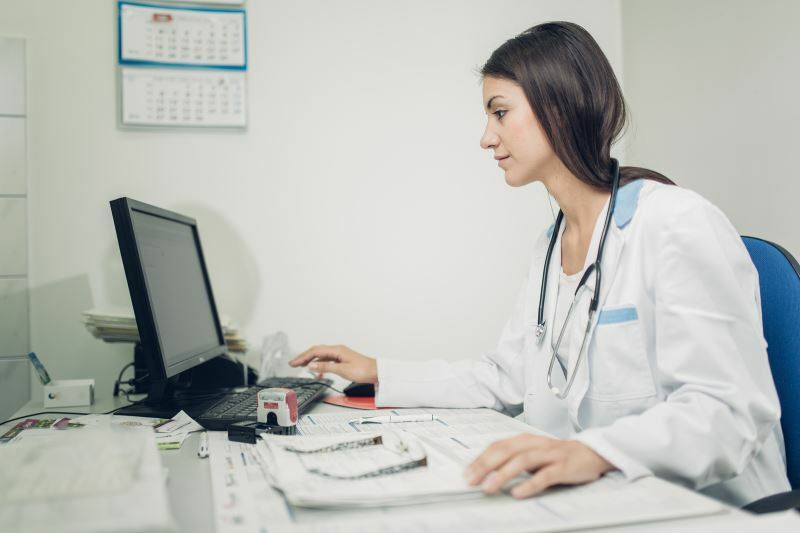 One of the main complaints about transitioning to new EMR systems is that it can be hard to get used to the new format. Hard coded templates (designed to increase simplicity and ease of use while providing standardization) are often created by people who don’t use them and their inflexibility can be frustrating. Make sure to thoroughly plan out the right EMR system templates that will reduce complication and match your staffs’ workflow the closest, saving time and effort. With a well thought out template you can save time and money. 2. Is Your Staff Doing Work That the EMR Could Be Doing? Make sure the EMR is doing all that it possibly can in order to get the most bang for your buck. Your staff should not have to work harder than the system when it comes to documentation. Set the system up so that it reminds employees to take the steps they need to when they need to so that processes are correctly executed without a second thought. Having your EMR do the tedious work will save your staff time and make the process much more convenient and reliable. 3. Is Your Staff Fully Trained to Use the EMR System? Make sure to hold training workshops when implementing a new EMR system. This workshop should be held for all new employees and anytime there is a software update that will affect the people who use it. The best way to be sure you are using all the functions you can is to have training documentation explaining the functions of the system and offering these options to your staff who may use them. 4. Are You Performing Periodic Audits of the EMR System? Once the EMR system is in place it is important to keep track of how it is working with your staff and data. If the system could use some changes to be more beneficial for your staff you should keep track of these problems and try to find solutions. When performing audits get input from everyone, not just the IT team, to make sure the system is beneficial in every way possible. 5. Are You Updating and Improving the Way You Use Your EMR System? If you are performing periodic audits, are you making the necessary adjustments? Taking the time to perform EMR audits and hold training audits will only help your practice if you are making the appropriate changes to support your staff. Make sure the system and your staff are working together to perform at the maximum potential of the system. If you are interested in learning more about the document management services we provide, or if you want free quotes on your project, fill out the form to the right, or give us a call at (866) 385-3706.